Among the ingredients that has been studied in clinical research and that have found their way into weight loss pills is a substance called 7-Keto-Dehydroepiandrosterone Acetate. It isn’t hard to understand why it is much more commonly referred to as 7-Keto DHEA, or even just simply 7-Keto, as its full name is quite a mouthful. Though it may sound as though it is an exceptionally complex chemical, it is actually something that occurs naturally inside the human body and that is used in order to metabolize the hormone called DHEA (Dehydroepiandrosterone). 7-Keto-Dehydroepiandrosterone Acetate has been extensively studied for a range of different potential uses, as doctors and scientists have sought to understand exactly how it works in the body. It has been looked into for benefits ranging from fat burning to the prevention of certain forms of cancer. Among those studies, researchers have found that 7-Keto DHEA can be quite helpful in the promotion of faster and easier weight loss among dieters who are obese or overweight. The research has indicated that some of the reasons that this ingredient can promote faster weight loss than would be possible exclusively through healthy eating and regular exercise, is that supplements of this substance can boost thermogenesis. Thermogenesis is the name of the natural process that occurs in the body in which fuel (in the form of calories from food or stored fat on the body) are used in order to produce body heat. When a substance such as a supplement increases thermogenesis, it means that the body temperature rises. To produce that extra heat, more “fuel” needs to be consumed, which means that calorie and fat burning will increase. When the body is burning those fuels more efficiently, it can become faster and easier to lose weight, as a result. Other research on this ingredient has also shown that the thermogenetic response that is produced by 7-Keto is actually quite a powerful one. 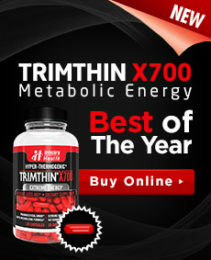 It brings the metabolic rate up to a level that it would not be able to achieve without this additional assistance. 7-Keto-Dehydroepiandrosterone Acetate provides a little bit of benefit on its own, but the true advantage that can be achieved by using an effective thermogenic occurs when it is combined with cardio exercise. Proper hydration is very important because of the higher body temperature. Bringing together the faster fat burning with a good workout will ensure that the best possible results are achieved through each cardio exercise. * Stephanie J. Webb, Thomas E. Geoghegan, Russell A. Prough and Kristy K. Michael Miller. Drug Metabolism Reviews. 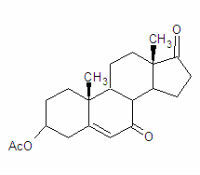 “The Biological Actions of Dehydroepiandrosterone Involves Multiple Receptors”. 2006, Vol. 38, No. 1-2 , Pages 89-116. ** Arsenou E.S. ; Fousteris M.A. ; Koutsourea A.I. ; Nikolaropoulos S.S. Mini Reviews in Medicinal Chemistry. “7-Keto-5-Steroids: Key-Molecules Owning Particular Biological and Chemical Interest”. Volume 3, Number 6, September 2003 , pp. 557-567(11). *** Hampl R, Stárka L, Janský L. Physiological Research. “Steroids and Thermogenesis”. 2006;55(2):123-31. Epub 2005 May 24. **** Mary E. Worrel, Olga V. Gurkovskaya, Stuart T. Leonard, Peter B. Lewis, Peter J. Winsauer. Alcohol. “Effects of 7-keto dehydroepiandrosterone on voluntary ethanol intake in male rats”. Volume 45, Issue 4, June 2011, Pages 349–354.